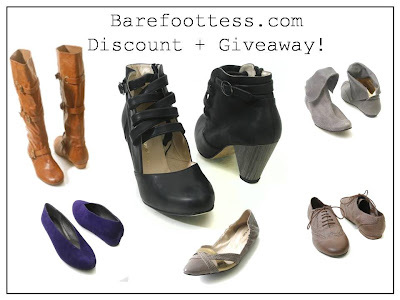 BarefootTess.com is one of my favorite online shoe stores. They have the best shoes from brands like Jeffery Campbell, 80%20 (my former officemate CeCe Chin's incredible line), Dolce Vita, Corso Como, Bernardo and many others. What's so special about Barefoot Tess is the fact that they carry large size shoes in all of these hot brands so if you're size 10, 11, 12 or even 13+ they have hot shoes for you!